It’s been almost three years since Jennifer Quintana became the owner of a new ENERGY STAR® modular home in Monte Vista, Colorado. Until then, Jennifer had been renting for many years. She and her family dealt with cramped apartments, high utility bills and difficult landlords. As a single parent, Jennifer worked extremely hard to provide for her family, but she knew there was something better. She knew there was more she could do. That’s exactly what Jennifer did. While passing by a new Community Resources and Housing Development Corporation (CRHDC) subdivision, she and her mother saw several beautiful homes being built. “Mom, one of those houses is going to be mine one of these days,” said Jennifer. Still in school at this point, she dreamed of owning her own home, and what it would mean for her family. A friend recommended CRHDC’s credit counseling class to her, and she stopped by the Alamosa office and started her journey. Jennifer worked with CRHDC’s housing counseling staff to learn what it takes to purchase a home with their required homebuyer education course, and came out of it feeling more prepared. Jennifer worked with CRHDC for several months to build better credit. Buying a home is a huge undertaking, and it can sometimes seem overwhelming. There were times when she wanted to give up because life always seemed to get in the way, but she had her mom pushing her and her children to motivate her. 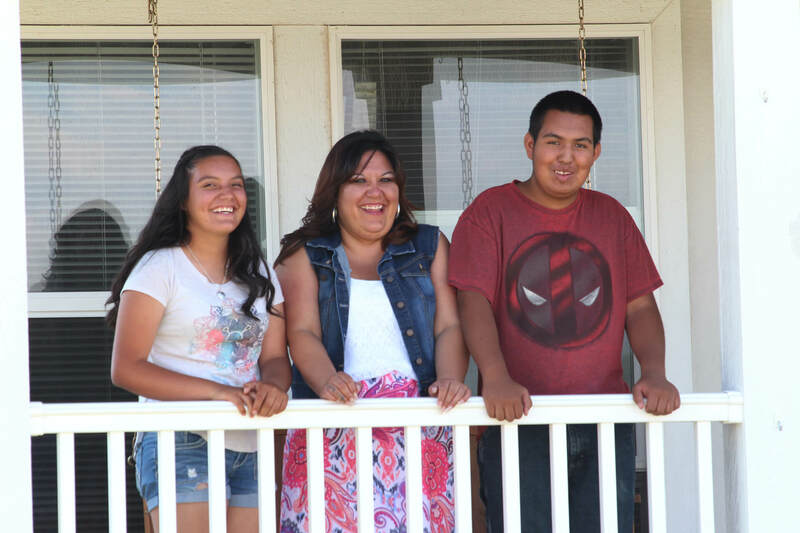 “I have two children, and I didn’t want them to ever say we never had a home,” said Jennifer. It wasn’t just her mother and children that pushed her. Jennifer remembers Ty Coleman, CRHDC’s Director of Rural Lending, reassuring her at every turn that she was capable of achieving her dreams. When she had questions, he and his staff were always there to answer them. It all paid off. Jennifer and her family have settled into their new home. Her son, Marcus, can hang up his favorite posters in his bedroom. He is interested in building computers and PC gaming, so there are a lot of video game posters lining his room – along with wrestling medals and music posters. He was able to upgrade from a full-sized bed to a king-sized bed because his room is much larger than any of the rooms they had in apartments in the past. Megan, Jennifer’s daughter, is getting ready to paint her walls purple. Jennifer told us that Megan has wanted purple walls for years, but they couldn’t customize anything while renting. In the meantime, she’s got some pretty cool self-made art hanging up. Jennifer has accomplished something that at one time she thought was impossible for her, and it’s transformed her life for the better. Her mortgage is affordable, her bills are predictable, and she can focus on what matters to her: spending quality time with her family.